There are at least five bands or artists under this name: * Kino - British progressive rock band * KiNo - "Poet of sound and image" * Kino - Japanese experimental band * Kino - who plays shamisen in a modern style * Kino - Russian post-punk band, bandname "Kino" was used in album " Le Dernier Des H?ros" (1989) (french edition of "????????? ?????") 1. Kino is a British progressive rock band formed in 2004. KINO released their debut album Picture in February 2005, to an enthusiastic reception from an international audience, as well as attracting positive recognition from the music press. * KiNo - "Poet of sound and image"
1. 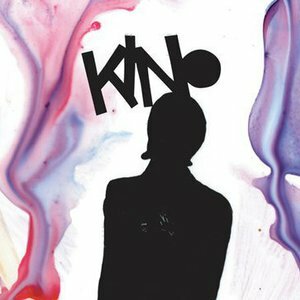 Kino is a British progressive rock band formed in 2004. KINO released their debut album Picture in February 2005, to an enthusiastic reception from an international audience, as well as attracting positive recognition from the music press. The album combines the individual talents of John Mitchell from Arena/The Urbane/Frost*/It Bites on vocals and guitar, Pete Trewavas of Marillion on bass guitar, John Beck from It Bites on keyboards, and Chris Maitland formerly of Porcupine Tree on drums. Due to Chris Maitland's other musical commitments, KINO were joined live enhanced by It Bites' drummer Bob Dalton. The band also played many It Bites songs live, which lead to the reforming of It Bites with Mitchell as their new lead singer. 2. kino is a solo recording artist, maker of the concept album map of the universe. 3. Kino is a Japanese experimental rock band from 80's. Pervye Zapisi. "Garin I Giperboloidy"